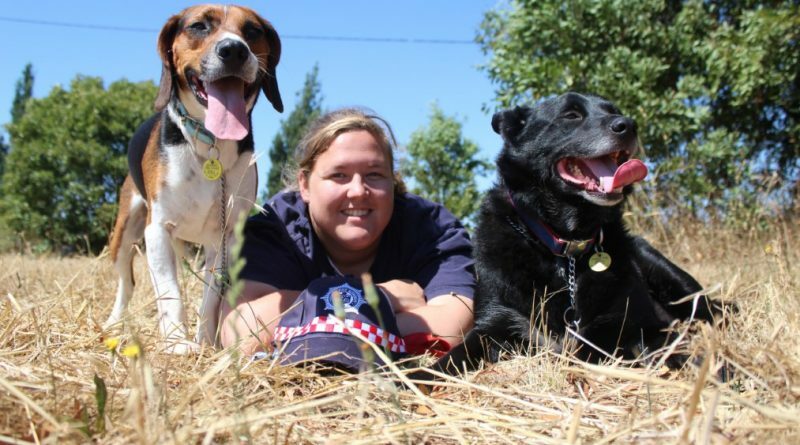 Kyneton Fire Brigade's 4th Lieutenant Jessica Cockerill-Wright was named one of Macedon Ranges' Young Citizens of the Year in Australia Day honours at the weekend. 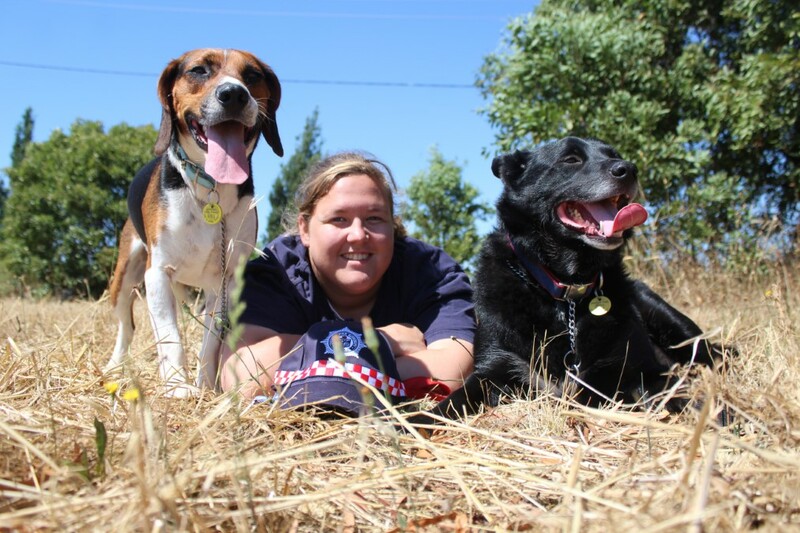 Last year Jessica Cockerill-Wright made history as Kyneton Fire Brigade’s first female member elected lieutenant in the brigade’s 134-year history. Since then, the Kyneton local has put her own true stamp on the position and been a role model worthy of Macedon Ranges’ Young Citizen of the Year, Australia Day honours. She first joined the brigade as a junior in 2008 and now the 23-year-old is junior leader helping to guide and train the brigade’s youngest recruits to the junior competition team aged 11-16. “We’re teaching them all of the skills that they need for a fire ground,” Jess said. Watching many youngsters come up through the ranks just as she did has been a true highlight. Jess was inspired to sign up for life as a firefighter after her own home was threatened during a fire when she was a child. “I saw them respond and I wanted to join them. One of the girls at my school was part of the brigade and she encouraged me to come along, so I did, and that was it. Now they can’t get rid of me,” she said. Jess soon became a core responder for the brigade, trained in breathing apparatus, monitoring hazardous environments, and aggressive internal structure fire attack. “Being new to the role of 4th Lieutenant has been a massive learning curve but the whole experience has been really good with a great supportive team,” she said. Jess also plays a key role in fire safety and prevention attending schools and events to promote safety. 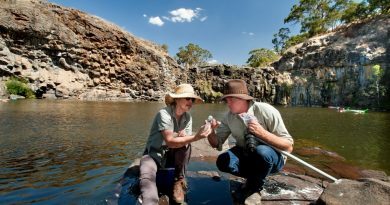 And off the job, she rallied friends and brigade members to help raise funds for farmers struggling through ongoing drought during the Parma for a Farmer movement. In 2018 Jess was awarded the Community Leadership Youth Award, and Fourth Year Apprentice of the Year. 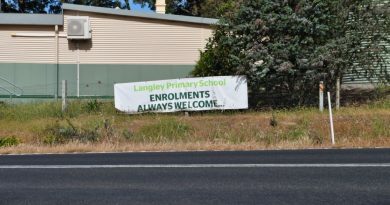 Langley Primary School is seemingly languishing with an enrolment of just eight students and permanent staff departing. 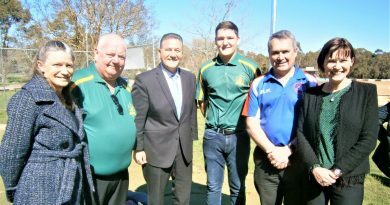 At Gilbert Gordon Reserve (from left): Mayor Jennifer Anderson, Woodend Cricket Club president Ronan Hume, Sports Minister John Eren, Monte McCague, Macedon Cricket Club president Steve Harrison, Mary-Anne Thomas MP.